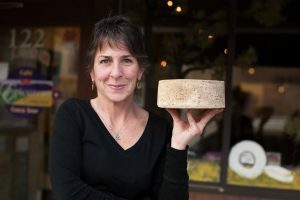 The first Friday of each month, award winning cheesemaker Sheana Davis breaks down the barriers to cheesemaking, with her energetic hands-on approach. Based on the Old Farmer’s Almanac recommendation for 2019, the VOM Garden Club planted its heirloom tomatoes early and has many 4" heirloom starts for sale, ready for planting. Don't miss this great opportunity to get your heirloom tomato plants in the ground or pot, just in time! Prices start at $3.00 a plant. Cook’s will have “all you need” to transplant your tomatoes into your own garden. John Arends has been an avid homebrewer in Sonoma County for 25 years. He's given many lectures over the years. He's won numerous regional and national competitions through the years and enjoys sharing his knowledge with the others. John will sample out various beers and related ingredients, followed by discussion. During the class, John will demonstrate how a typical five gallon batch of beer is made. Join the class by emailing: cookvineyardmanagementstore@yahoo.com, or calling 707-938-7917. Call the Store at 707-938-7917 to reserve your spot!